Jeremy Corbyn has visited Morecambe as part of a local election campaign tour at the same time as one million people took to the streets for an anti-Brexit protest. 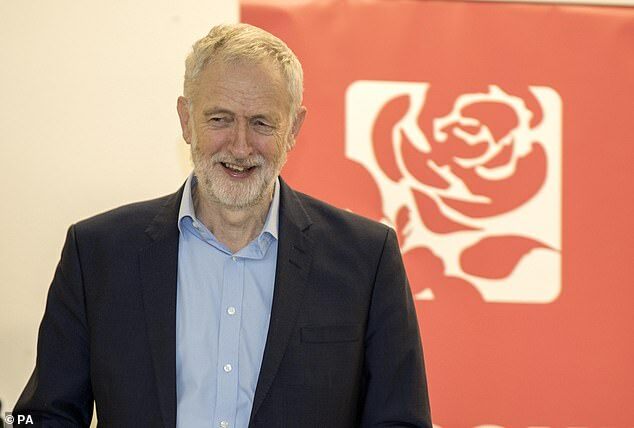 The Labour leader, who has been criticised for a lack of clarity on his Brexit stance, spoke at the Lancashire town ahead of local elections on May 2. 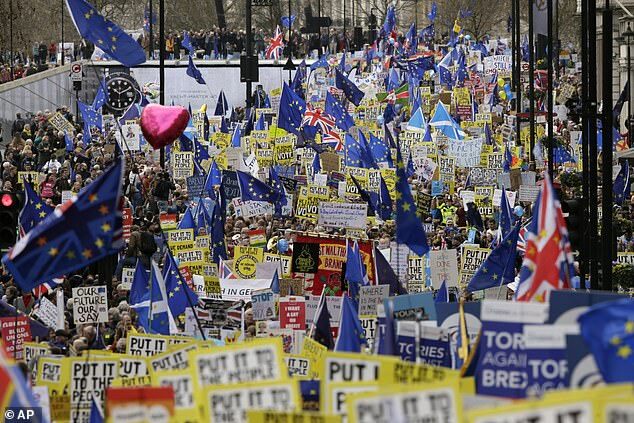 Meanwhile, the ‘Put it to the People’ march saw an estimated million protesters in the capital. Many protesters waved banners and placards that criticised Corbyn’s Brexit policy. 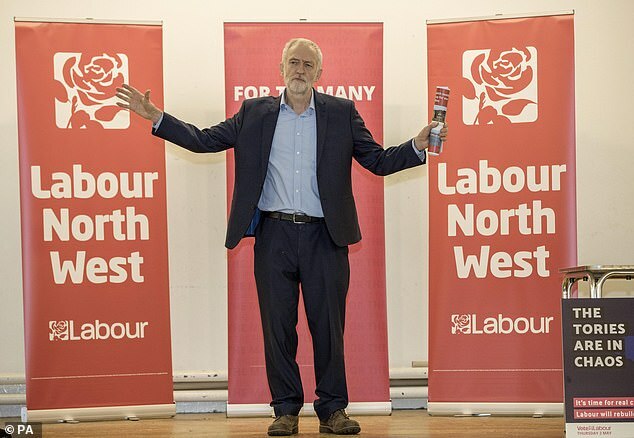 One group had a picture of the Labour leader with the caption ‘he’s not the messiah, he’s a very naughty boy’, in reference to Monty Python’s Life of Brian. Speakers addressing the rally outside Parliament include Scotland’s First Minister Nicola Sturgeon and Labour’s London Mayor Sadiq Khan and Labour deputy leader Tom Watson. 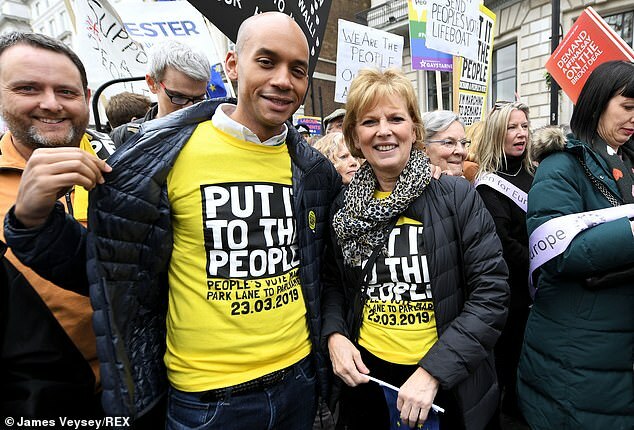 Former Labour MP Chuka Umunna joined in on the march wearing a t-shirt demanding a People’s Vote. 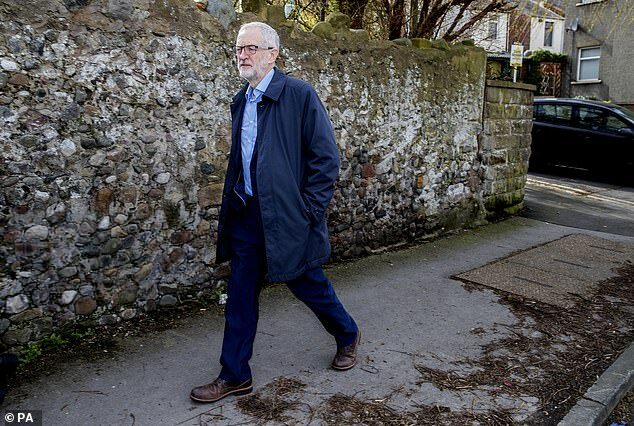 Jeremy Corbyn walked out of a cross-party meeting earlier this week when he discovered Umunna, the spokesman for The Independent Group, was present. Organisers of the march claim a million people turned up while the Metropolitan Police refused to comment on the numbers. 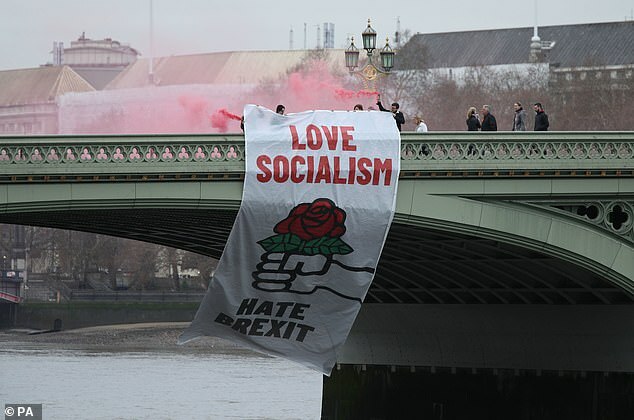 Banners saying ‘Labour for a socialist Europe’ and ‘Love socialism, hate Brexit’ were seen at the protest despite Jeremy Corbyn’s absence. 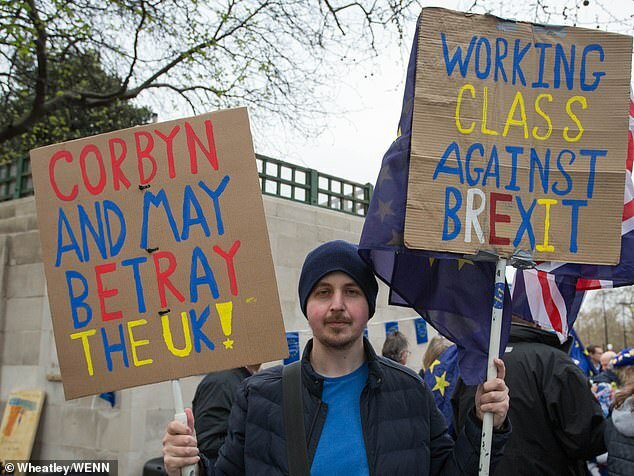 Another waved two placards saying ‘Corbyn and May betray the UK’ and ‘Working class against Brexit’. 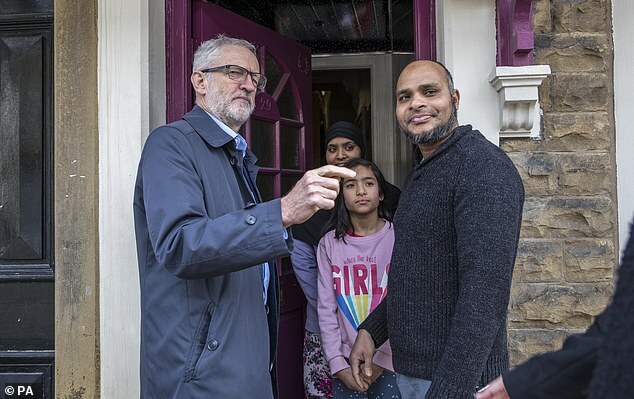 At the same time, the Labour leader joined councillors knocking on doors in Morecambe and spoke at the town’s War Memorial Hall.